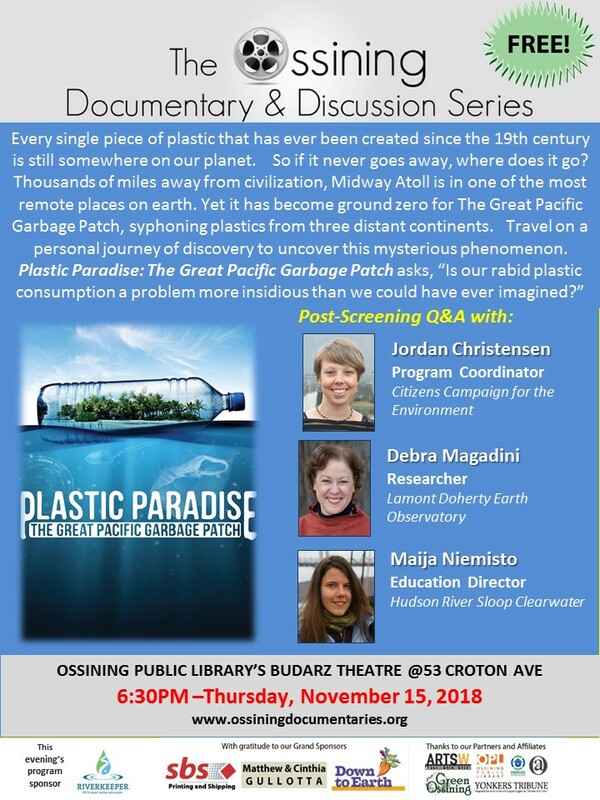 Oss Documentary & Discussion Series Screening: Plastic Paradise: The Great Pacific Garbage Patch. 5/10 in Ossining from Noon-4p: 3rd Annual Riverkeeper Sweep! Need Volunteers! See our Event Calendar for info.